This post was sponsored by HelloFresh, who provided me with a complimentary box of meals. 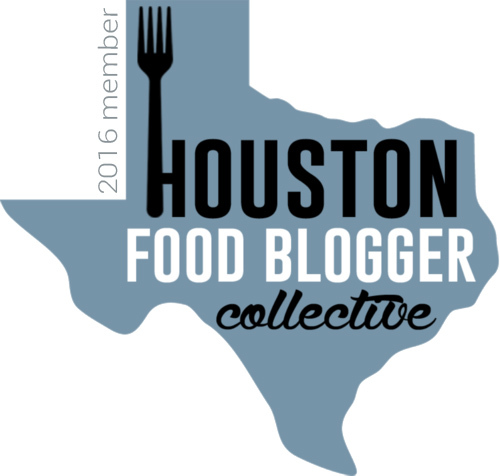 I was not monetarily compensated for writing this food post. All opinions are completely, 100% my own! As a lover of food and all things healthy and delicious, I also love to cook. I love the whole experience - researching recipes, writing out my food list, slowly perusing the aisles at the grocery store, prepping everything while Phil Collins soothes me with his silky voice in the background (just me? ), and finally putting it all together. But you and I both know, that no, we don't actually have the same amount of hours in a day as Beyoncé (she's got to have at minimum 37), and sometimes we need a little extra help. 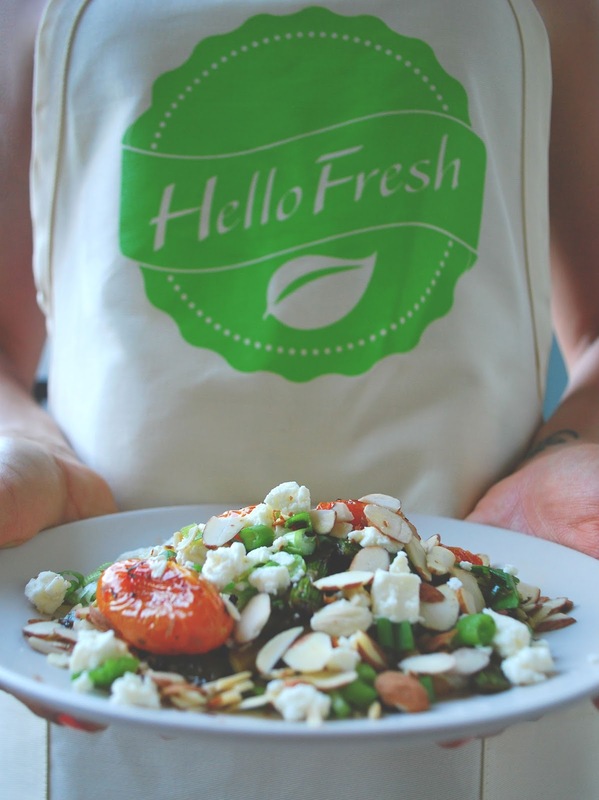 HelloFresh is a food delivery service that provides customers with a box of different healthy meals every week. But for those of us who like to be a little more hands-on with their food at home and know exactly what's going into it (me), this is a great service because the meals aren't delivered to you pre-made. 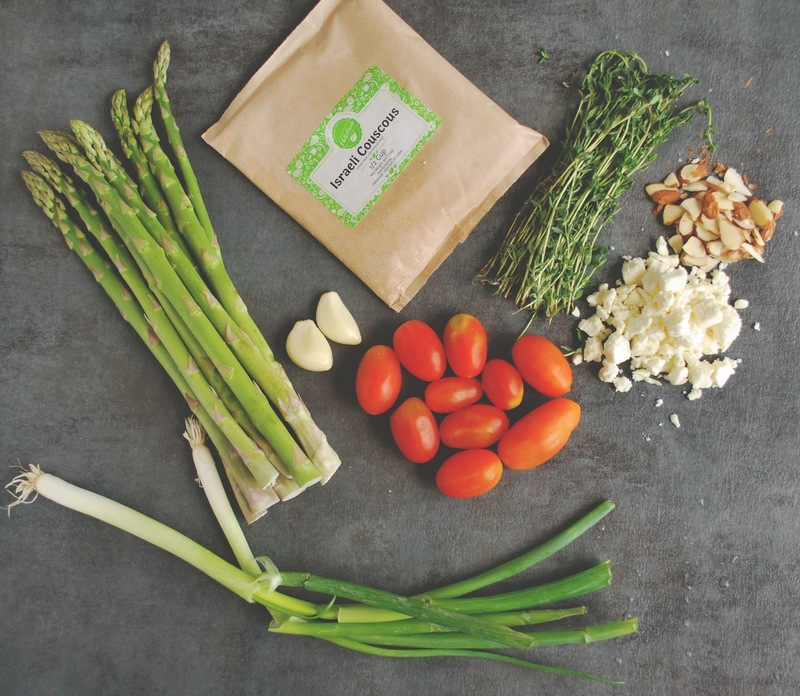 You are given a box full of fresh, perfectly-portioned ingredients and incredibly thorough, clear, and easy-to-follow recipes to assemble the meals yourself! The kind folks at HelloFresh provided me with one of their vegetarian boxes, which contained three meals (for two people) for the week. 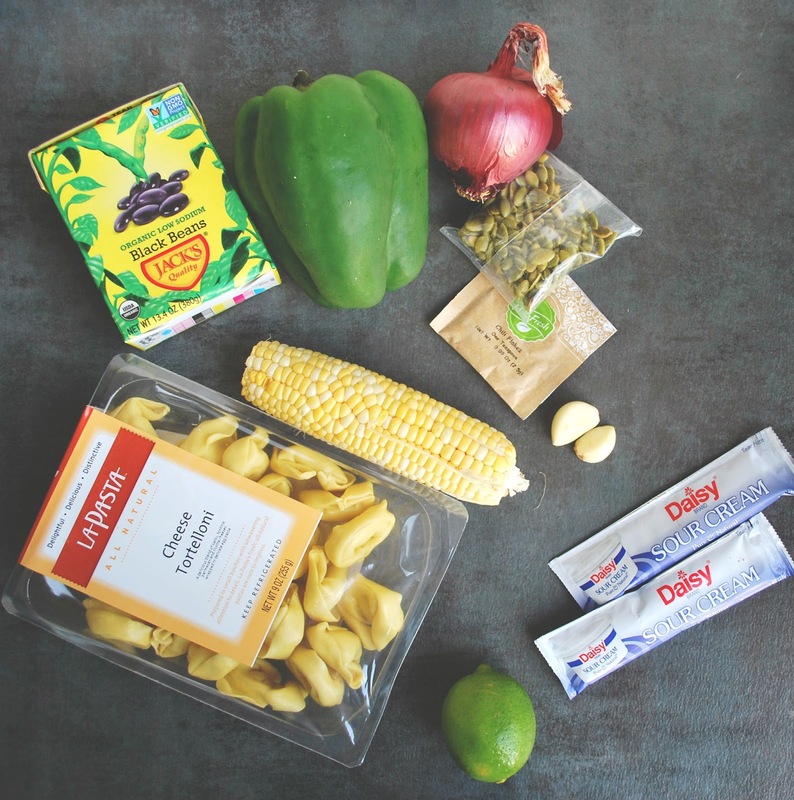 So how did my healthy HelloFresh week pan out? 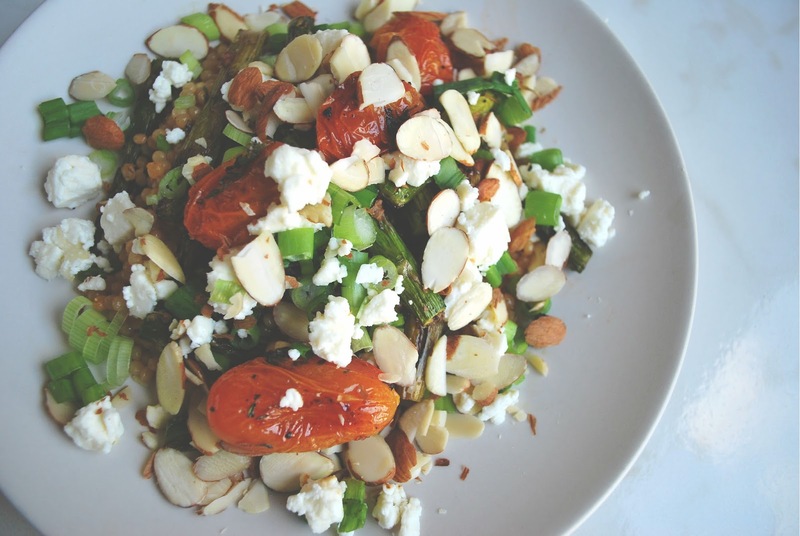 The first meal was an herby asparagus and tomato bake with Israeli couscous, thyme, and feta. I wouldn't say I had low expectations or anything, but I was completely blown away by how good this meal was (so was Jon!). And it was such a dang EASY recipe to follow! 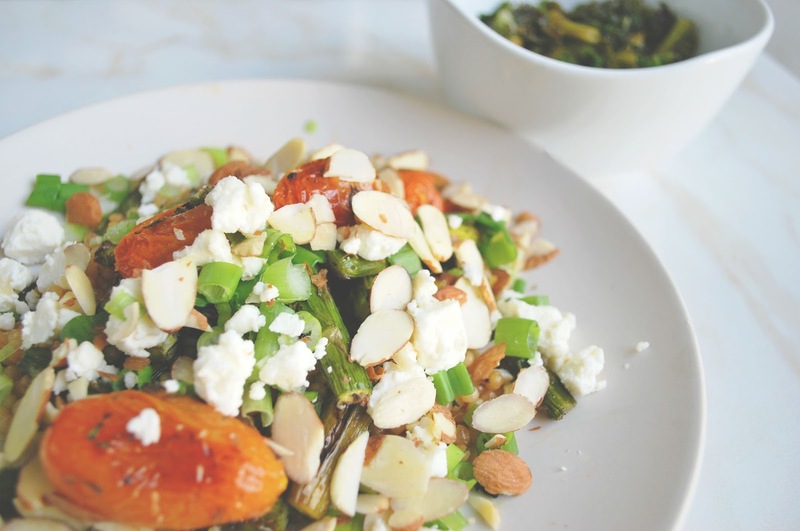 The crunchy textures of sliced almonds, scallions, and asparagus were wonderful, the couscous had a great mouthy feel, and the roasted grape tomatoes created a lovely citrus-y sauce that permeated beautifully throughout the dish. It literally could not get more tasty! The healthy dish was filling enough on it's own, even though I added a side of sauteed kale (because in general, I've always got to have a side of veggies with my meals!). Our second meal was a southwestern tortellini salad with black beans, sweet corn, and cilantro (which I omitted because I'm a #CilantroHater). Jon and I lost. our. freaking. minds over this meal! The pasta itself was bursting with creamy, cheesy goodness, chili flakes added some nice heat, the light sour cream sauce base was PERFECT, and the textures coming from corn, green bell pepper, and pepitas were outrageous. This recipe resulted in gorgeous, wonderful, unique pasta at its finest! (side of asparagus by yours truly). 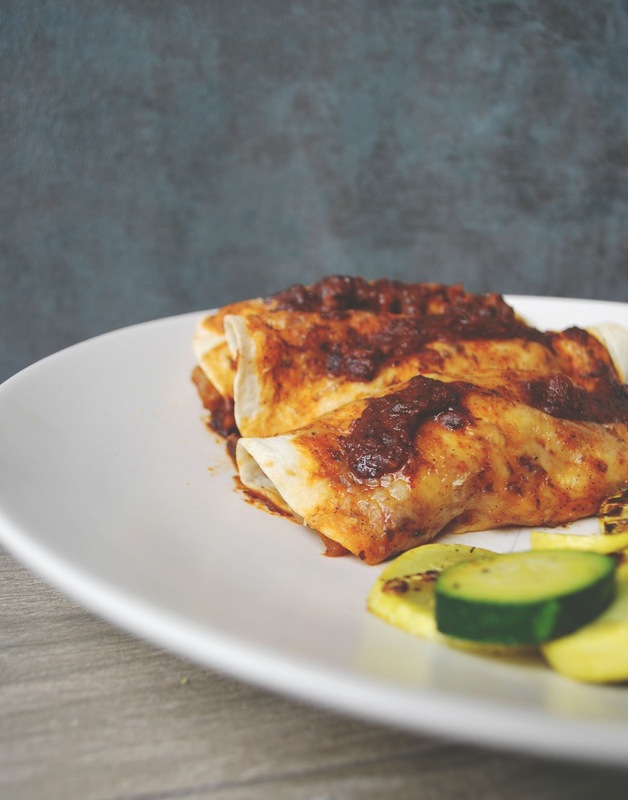 ...skillet seitan enchiladas with poblano and Monterey jack cheese! 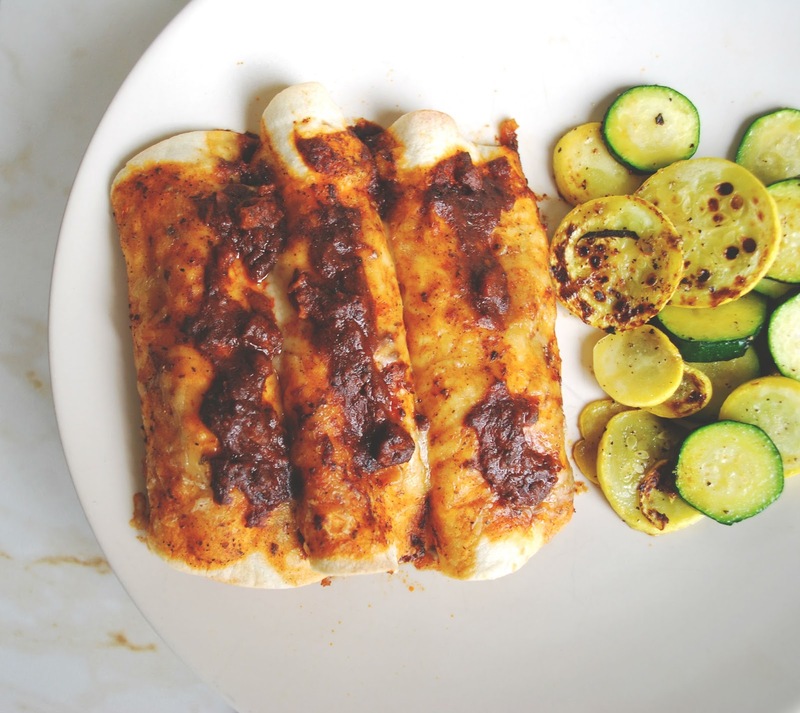 These enchiladas - filled with seitan crumbles - were hearty, MEATY, and bursting with flavor. These were so filling and so satisfying, that once again my side of veggies was not needed at all. Out of the three meals, this was probably the most "difficult" to make, though the recipe was still easy-peasy. Once again, I adored this dish, which appealed to my every vegetarian fantasy! So do I like HelloFresh? Friends, I LOVE HelloFresh. 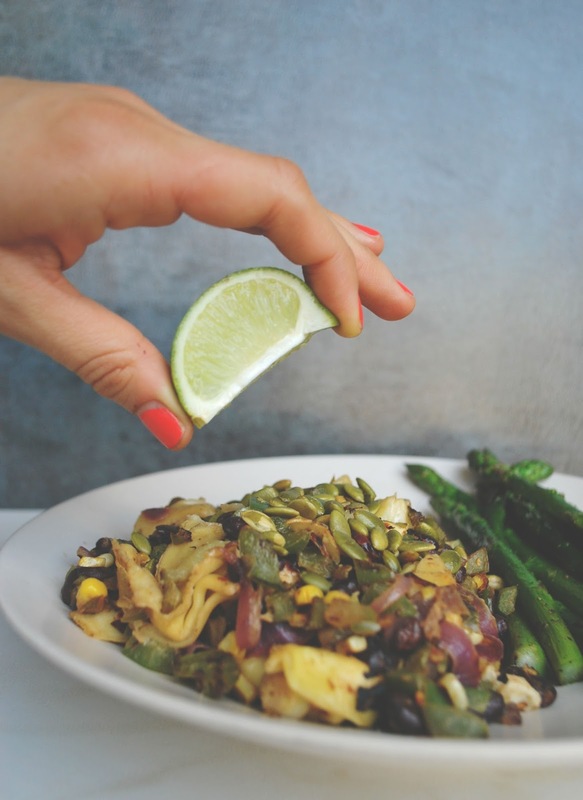 If your hypothetical plate is full, and you find yourself stretched thin on time, HelloFresh is a great way to get your literal plate full - with fresh ingredients, affordable meals (the vegetarian box of 3 meals for two is $59, which is less than $10 a meal! 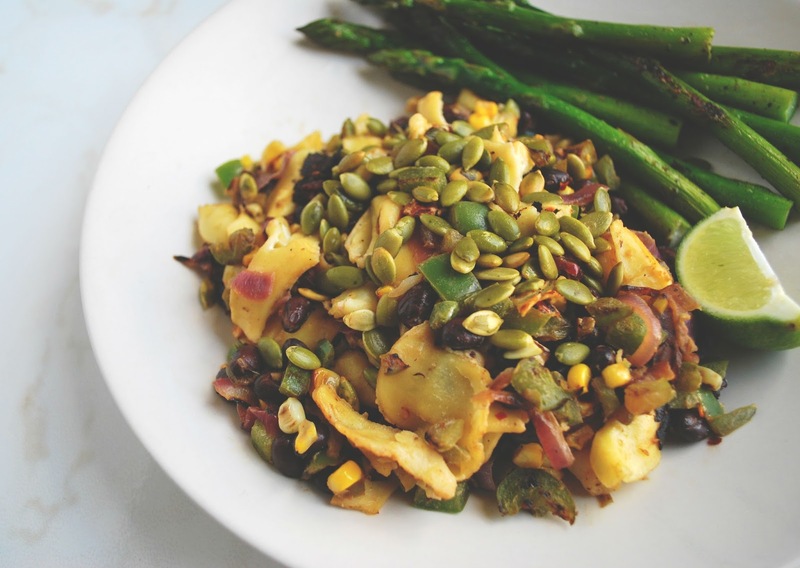 ), and healthy, delicious food! Even my carnivorous boyfriend was a major fan! I seriously wish I could feed you through the screen to show you just how INCREDIBLE these meals were, but I guess you'll just have to take my word for it. And good news! 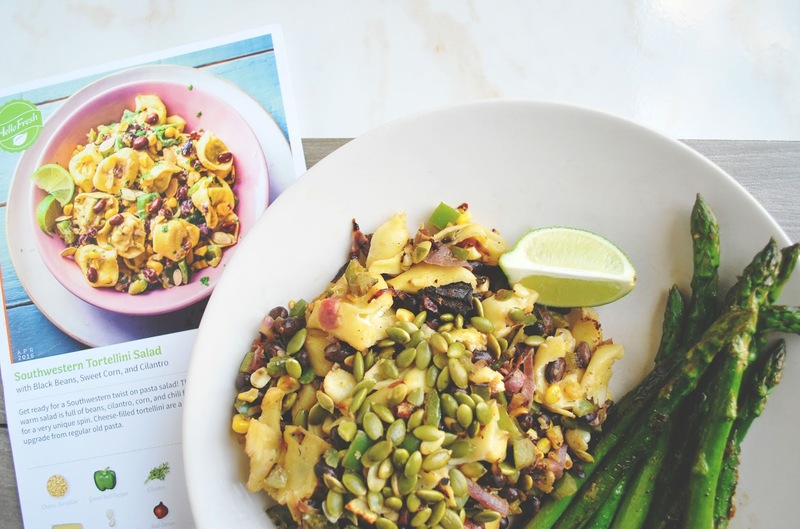 For those of you who haven't tried HelloFresh's fantastic, healthy food and recipes yet, be sure to enter promo code KimO35 (That's the letter "O" as in my last name Ogonosky, not the number zero) when checking out to receive $35 off your first order! 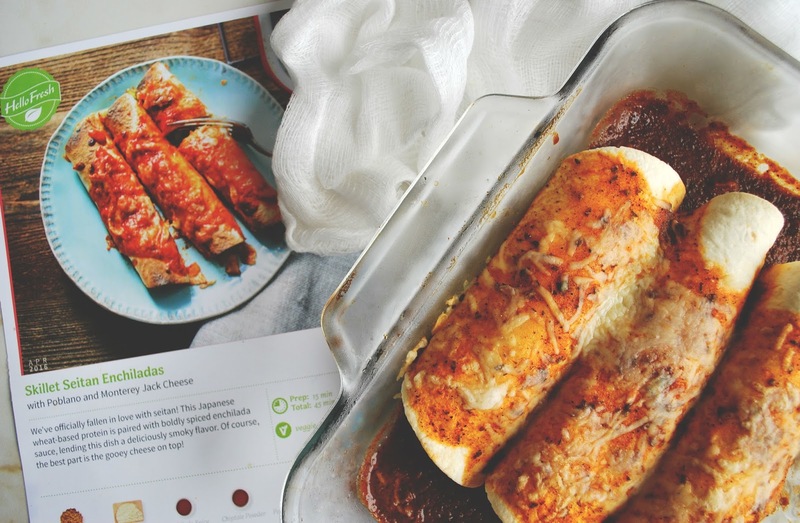 Seriously, let me [HelloFresh] feed you.